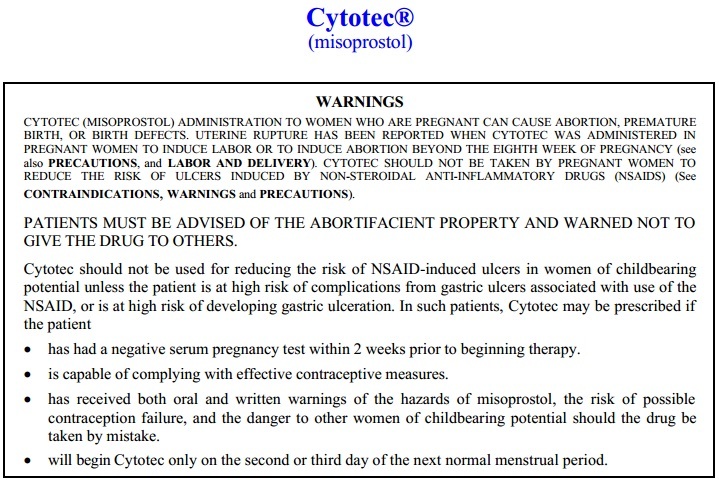 INDUCTION WITH CYTOTEC/MISOPROSTOL IS KILLING WOMEN AND BABIES Cytotec/Misoprostol is a ulcer drug. Despite the fact that the makers of this drug have warnings on the label saying the drug should not be used during pregnancy, it is nevertheless being used off-label in hospitals every day to induce labor and force babies to come before they are ready. It is an extremely dangerous drug and is killing women and babies.